NEW YORK—More than 1,500 students in four small high schools co-located in a beautiful building in one of the poorest areas in United States no longer have to look for medical care. 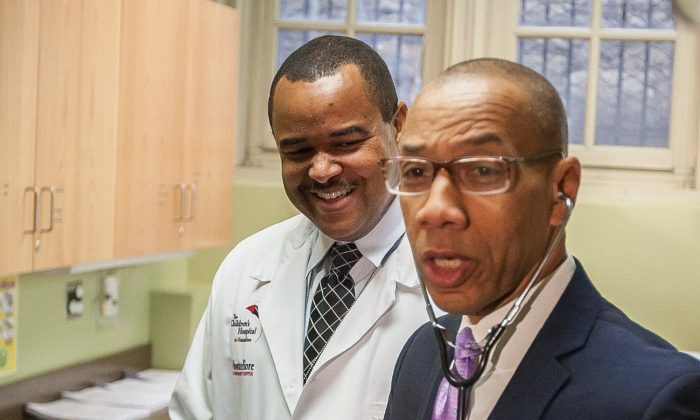 The Morris Educational Campus in South Bronx just opened its own clinic. The new school-based health center in the Bronx is part of a $30 million plan by the New York City Department of Education (DOE) to build 20 school-based health centers in underserviced areas. The DOE money will take care of building the spaces, but the services will be funded by specific health care providers, in this case, Montefiore Medical Center. The center will be staffed with a physician, a nurse, a mental health professional, and a social worker. It will offer physical examinations for sports or working papers, screenings for medical conditions, and treatment for chronic diseases, including dispensing and prescribing of medications, and dental care. “For our students, who may not have that ability to get those types of services in their communities, they have that ability here in school,” Walcott said. Shawn Bowen, the center’s pediatrician, mentioned the importance of a mental health professional, since many children he encountered had family issues. School-based health centers are not allowed to provide services to anyone but the students, except for emergencies. Medical care is offered free of charge “regardless of insurance or immigration status,” according to the DOE. The providers bill Medicaid or other insurances to maintain revenue and ask parents to provide insurance information. Every child in New York City is eligible for medical insurance and the centers also offer help with connecting parents of uninsured children with public health insurance providers. As for which schools will be next on the list for a new center, there are several requirements. “We do a variety of need analysis based on needs of the community and also the capacity of the school,” Walcott said. The DOE website lists five general criteria, including a population of students receiving free lunch and a location in an area with limited health care resources. The schools also have to enroll at least 1,200 students. There are currently 129 school-based health centers in New York City serving 293 schools. The first ones appeared more than 20 years ago.